Providing affordable medical aid cover and peace of mind since 1995. We have a really great story to tell! 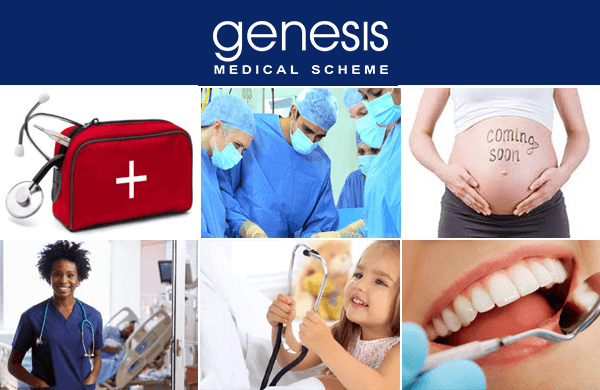 With a proud heritage spanning since 1995, Genesis Medical Scheme has an intimate and profound understanding of private healthcare in South Africa. As one of the leading medical aid schemes in South Africa, we have a proud legacy of providing our members with access to exceptional healthcare funding benefits at very affordable rates. Rated as one of the top 5 most successful medical schemes in the country – as measured by the benefits we provide vs contributions levied, our solvency and net healthcare result (in other words, our financial stability), our membership size, the average age of our beneficiaries and the service levels we provide to our members - all Genesis members are in good hands. Intensive care is a verb. One that we take very seriously. The Medical Schemes Act requires a minimum solvency of 25% to be maintained by all medical schemes. The Genesis Smartphone Application for members utilises the power of technology to enhance member experience. Our members recognise the direct relationship between exceptional cover and the bottom-line savings. All Genesis members, irrespective their chosen benefit option, enjoy rich basic, as well as some enhanced dentistry benefits. Genesis is one of only 5 (of 22) open medical schemes in South Africa that is self-administered.